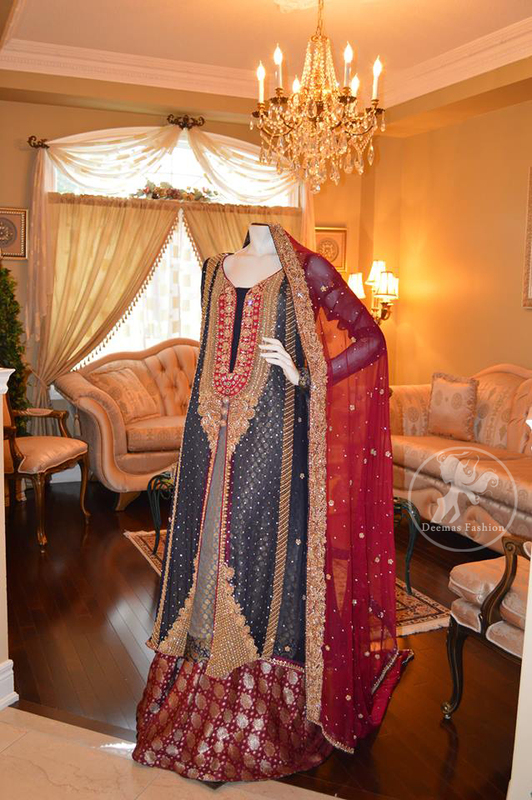 Tags: Dark Gray, Deep Red, Front Open, Gown, Lehenga, Light Gray. Dark grey pure chiffon front open gown and light grey banarsi chiffon inner shirt. Upper gown is adorned with embellished long neckline. Center slit has embroidered border. Beautiful embellished border on sides panel made of dull golden tila, kora, dabka, naqshi and colored stones. Crystal stones spray scattered on center panel and motif spray on sides panel. Fully lined . Concealed with side (hidden)zip closer. 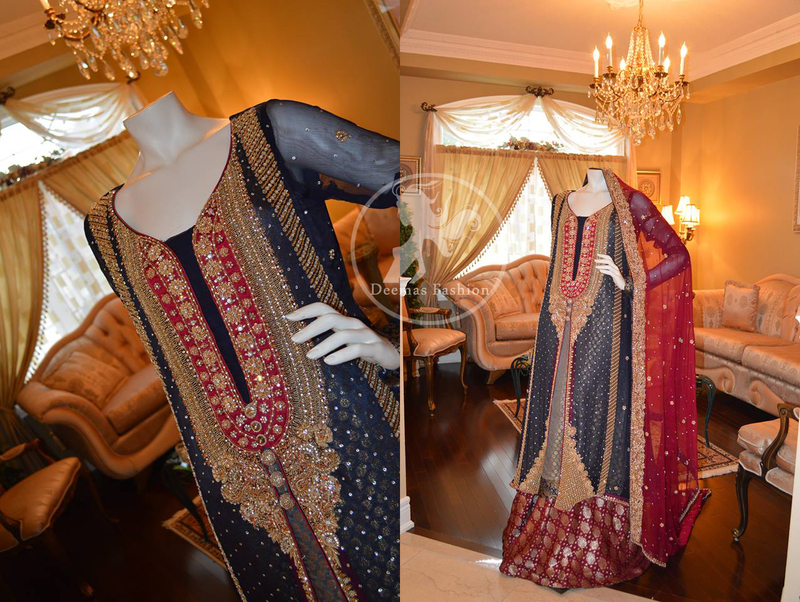 Deep red pure chiffon dupatta. Dupatta has four sided embroidered border. Finished with banarsi piping. 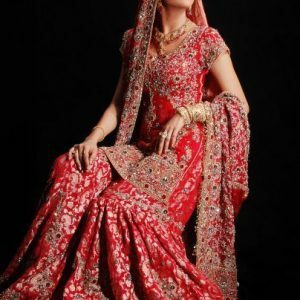 Deep red banarsi jamawar lehnga. Fully lined lehnga. Fully elastic and fixed belt option.